Cooler Synthetic Grass from NewGrass Just in Time for Summer! Seems like we’re sure to hear it. Those same annual arguments against artificial grass will pop up. The best one? It tends to get hotter than natural turf under sun. People tend to believe artificial grass gets hot enough to scorch feet! Well not anymore. NewGrass has cooler synthetic grass! While that’s true, as NewGrass® has reported before, synthetic grass blades cool rapidly. However, this is more true if the lawn is covered, shaded, or watered. One study found rapid fiber cooling if sunlight was filtered by clouds. Interesting. Furthermore, synthetic grass installs with eco-friendly infill are less hot than lawns with crumb-rubber infill. The Penn State Center for Sports Surface Research reported those findings last year. 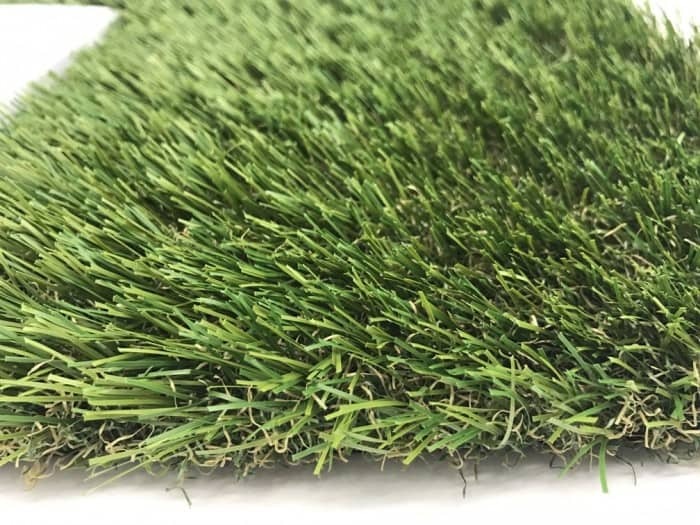 So to bring even greater comfort to those considering artificial turf, NewGrass has new a product offering. Our newest variety contains a special blend of yarns which are less hot in summer heat. The result is cooler synthetic grass. NewGrass Supreme with Cool Blades will have blades woven with Coolgrass®. In addition, they are manufactured by Bonar Yarns in Abu Dhabi. Hence, the advantages of NewGrass Supreme with Cool Blades magnify when installed with environmentally safe infills. These include ZeoFill and Sole Revolution from Nike. Nike uses 100-percent Nike Ground Rubber to create their infill. Therefore, it is more eco-friendly than traditional infill. It figures. Remember, traditional crumb rubber is made from tires. Consequently, this can be toxic. So the debate over crumb rubber wages on. Seems like environmental groups, the rubber industry and members of the synthetic grass industry are concerned. But some cities – and NewGrass – argue that caution is the best path. We should advocate for the use of alternative infills. Consequently,using the right infill creates cooler synthetic grass. it also yields durability. Contact us today and see for yourself! NewGrass is an industry leader. Furthermore, our products feature the latest industry technology. So choosing NewGrass ensures a superior product. Consider us for your next commercial install. We work with commercial property developers all the time. Also, HOAs use our products. And event productions companies? Yes, they us us too. No matter how big or small, NewGrass has you covered! Reach out today. We can help.